HARRISBURG – The state Senate will carefully study the $34.1 billion General Fund Budget for Fiscal Year 2019-2020, which was unveiled by Governor Tom Wolf on Tuesday before a joint session of the General Assembly, according to Sen. Gene Yaw (R-23). The Governor’s budget proposal includes a $927.3 million increase in state spending from the current fiscal year. The Governor is not requesting a broad-based tax increase this year, but is continuing to push for a Marcellus Shale extraction tax and a fee for municipalities that rely on State Police for local police coverage. 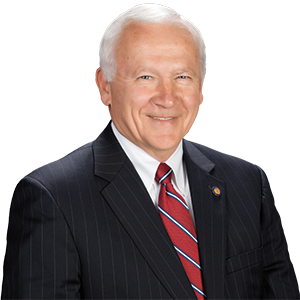 The Governor is requesting a $166 million increase in Basic Education Funding; a $50 million increase for early childhood education and a $50 million increase in special education funding. Further, the State System of Higher Education would see a $7 million increase, while state funding for community colleges and state-related universities is flat lined in the Governor’s request. Yaw added that he does have some concerns with the Governor’s proposal. Yaw said the Appropriations committee will hold three-weeks of budget hearings beginning on February 19. The hearings provide an opportunity for the Appropriations Committee to hear cabinet secretaries and other Administration officials detail their plans for the upcoming fiscal year. The state’s current fiscal year ends on June 30. 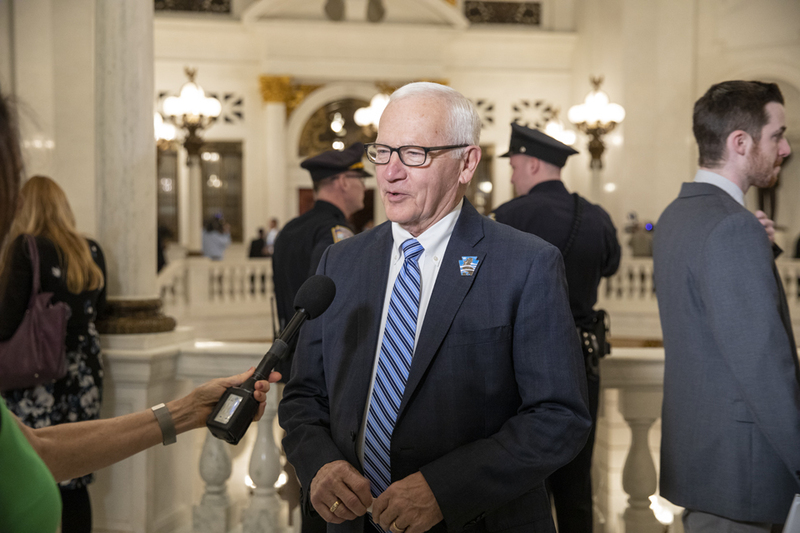 Sen. Yaw discusses Governor Wolf’s 2019-20 Budget plan with reporters during a Capitol news conference on Tuesday in Harrisburg.